Sport Spring kits are H&R's number one selling product. Enhance the look of your B6 or B7 S4 with a reduced fender well gap while also lowering the vehicle center of gravity and reducing body roll for better handling. The progressive spring rate design provides superb ride quality and comfort. A lower wind resistance will make the vehicle more streamlined and improve gas mileage. If you are only looking to improve one part of your S4's suspension, you cannot go wrong with installing H&R Sport Springs. 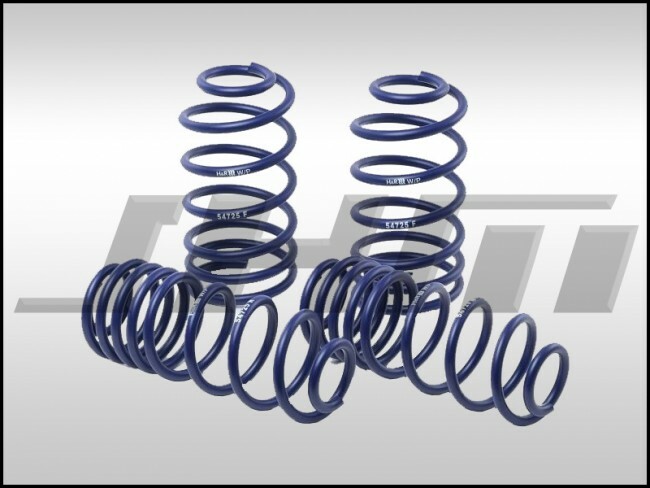 Fun to drive, H&R Sport Springs are a great suspension upgrade for your vehicle.